The characterization of the mechanisms underlying skeletal muscle atrophy under different conditions has been a constant focus of research. Among anti-atrophic therapies, amino acid supplementation, particularly with leucine, has received a lot of attention. Supplementation has been shown to have remarkable effects on muscle remodeling through protein turnover modulation. This may then impact physiological parameters related to muscle function, and even quality of life. In light of this, leucine supplementation could be a useful therapy for mitigating the atrophic effects of catabolic conditions. 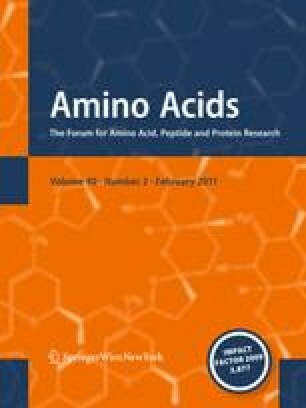 The purpose of this review is to present the major results of human studies evaluating the effects of leucine supplementation on structure and function of skeletal muscle in atrophic conditions such as muscle disuse, sarcopenia, and cancer. The authors are grateful to Fundação de Amparo à Pesquisa do Estado de São Paulo (Grants number 2008/51090-1 and 2009/02896-6).